You will really not get enough of lovely homes because we will always have something new to show you. 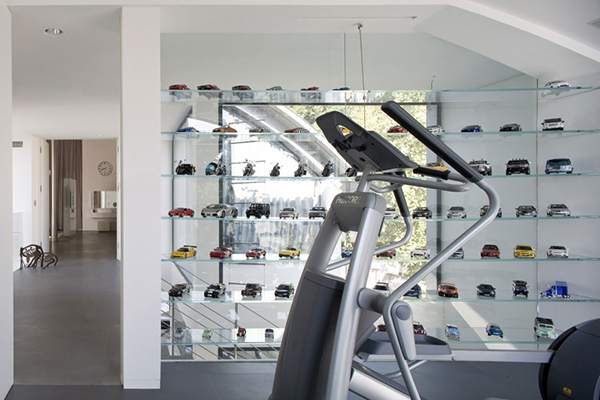 Every home has its own unique feature. Some would even have overly distinct exterior design that would make us look around twice and we would even doubt if it is really a residential structure or something commercial. But there are also homes that may look humble yet are hiding some special features just like the Bridging House. From its name, we can get a clue that the househas a bridge. And it does. The central concept of the house design is the transparency and flexibility along the interior space that is divided by a bridge. 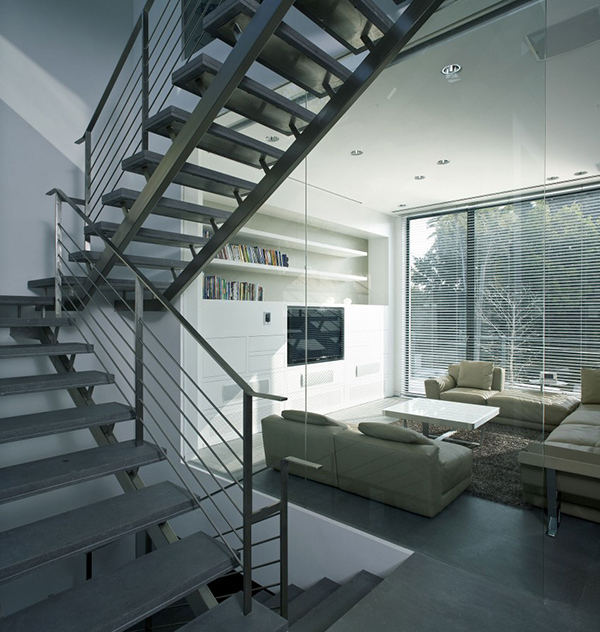 Also, instead of doors and walls, glass screens were used in the interior. 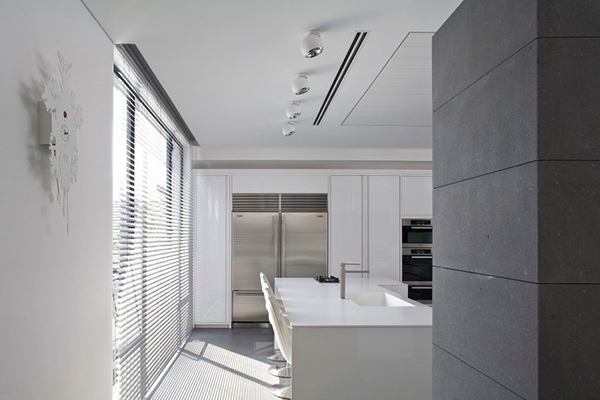 Doing this allows the entry of natural light and would allow a good visual contact with the garden. The public areas of the house is divided by in two sections connected by a bridge. Designer defines that, “The width of the bridge was defined a datum dictating the size of stone chosen for the whole house – very large slabs of Italian Basalt. It also inspired shadow gaps in the ceiling following the lines of the bridge, intensifying the geometry.” Let us take a look at the Bridging House in Israel below. 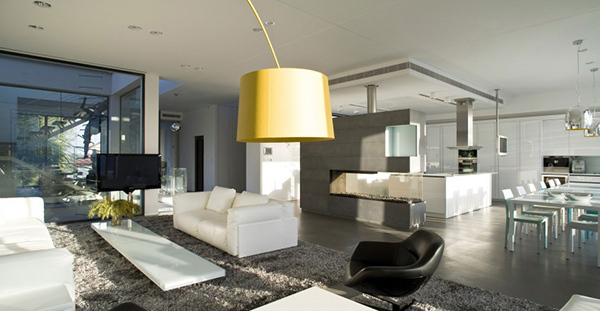 The interior of the house is relaxing and has that ample amount of daylight. It has warm choice of colors too. The western side of the home includes a large kitchen, dining area and lounge that leads to the main garden. 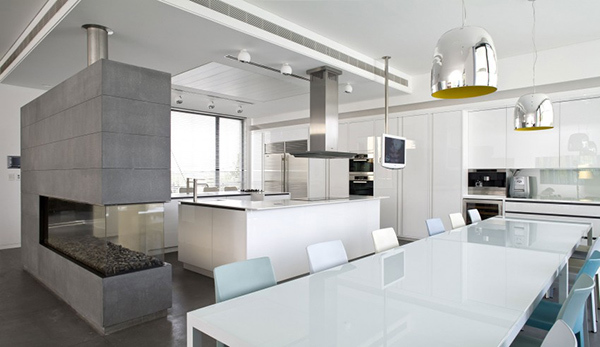 The kitchen has a white island that has dual function and it has white modular wall system to pair with it. 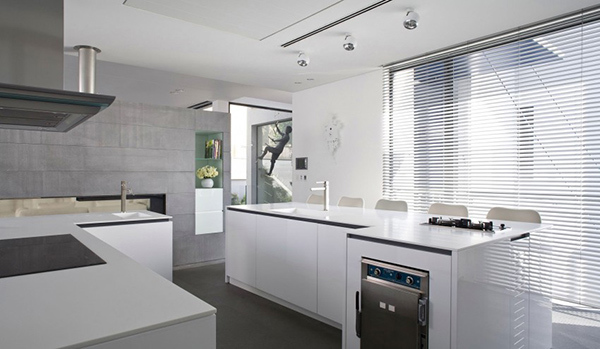 Aside from the island that can be used for dining, another L-shaped island is also used here for cooking functions. The wall of the kitchen has a three-sided fire place with a contemporary design. 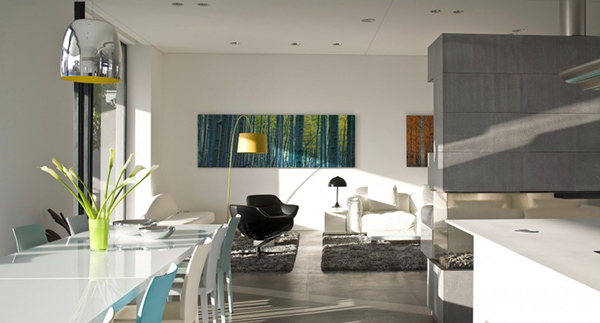 Seen here is the dining area as well as kitchen that are seated in an open layout. Guess this is the bridge that connects that house using steel for its materials. On one end of the bridge is a guest bedroom and a gym while and on the other is the master suite. This is the master suite that has an open space with carpentry and glass partitions. 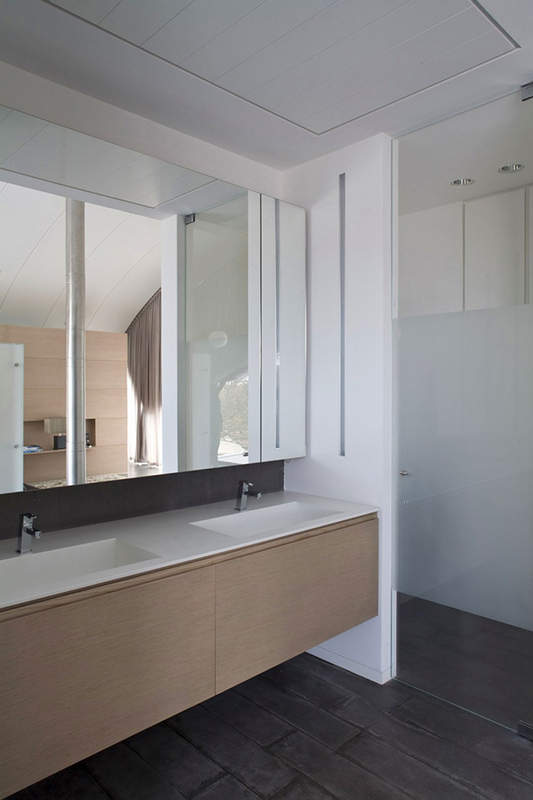 The master bathroom has a contemporary look with good color combinations. 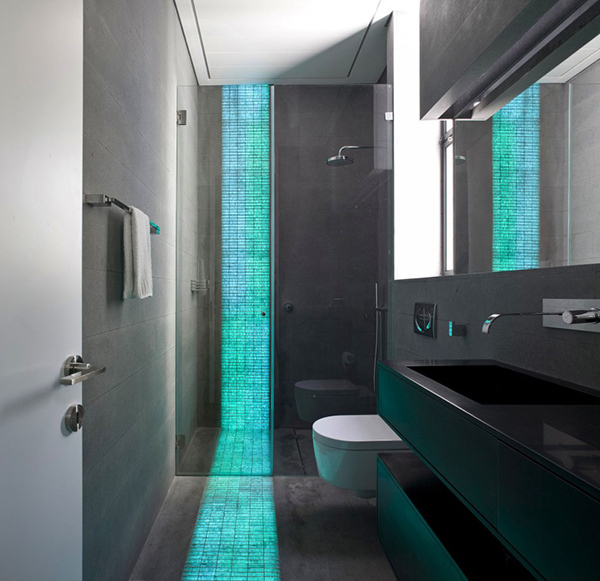 This bathroom has a unique feature since that green lighted part on the wall and flooring could change color. 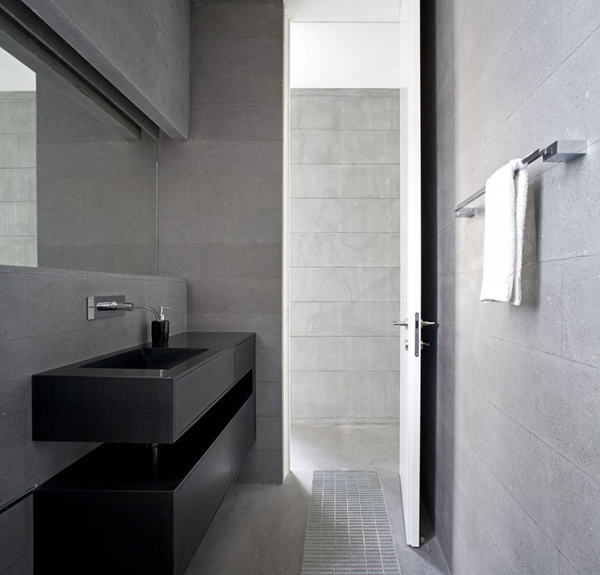 Another bathroom in the house in black and gray tones. 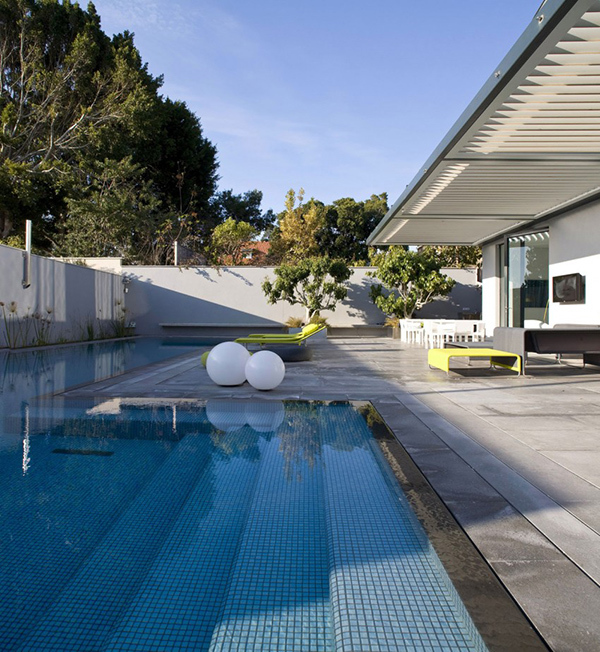 And this is how the exterior looks like with a swimming pool and concrete deck. It is indeed unique and stunning. I know at first look you didn’t think that something different is in this home because I thought the same way too. But after reading more about the design, I realized that the work of Jacobs-Yaniv Architects is more than just ordinary. All materials and furniture for this home have been chosen very carefully to a very high standard. And we can clearly see that!